If you are seeking orthodontic care to create an incredible smile, you would probably welcome any innovation that could reduce your treatment time. Dr. 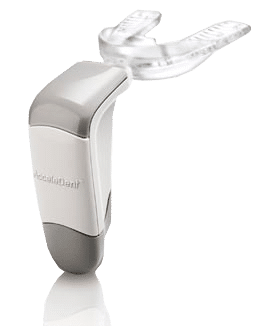 Milestone and our team at MILESTONE Orthodontics are very excited to into introduce the newest advancement in orthodontic treatment – AcceleDent! An innovative device designed to increase your rate of tooth movement and potentially decrease your overall treatment time. Simply press the removable mouthpiece into the activator, bite down just firmly enough to hold the device in place, and turn on AcceleDent. You can enjoy activities such as reading, listening to music, watching TV or playing video games during 20minutes each day required for AcceleDent to function effectively.